With a constantly growing list of options, finding the right replacement windows for your home is challenging indeed. What color should you choose? What style fits your home best? How energy-efficient do you want them to be? The number of factors you need to consider is equally considerable. Our professionals at Renewal by Andersen® of Wyoming has made this quick but helpful guide to make the decision a little bit easier. We’ve divided the process into three main parts: style, materials and warranties. There’s nothing wrong with going for what’s popular and when it comes to windows; single- or double-hung windows outnumber most other types. Their popularity makes it easier to find a window contractor to install them. Double-hung windows are optimized for airflow and safety, allowing good insulation without sacrificing natural light. Other options available are casement windows that open by swinging either outward or inward, and sliding windows, which are absolute space savers. Wood windows possess a certain timeless quality that’s hard to beat. One major complaint about wood is that it’s vulnerable to water damage and rot. This is easily addressed by protective coatings, staining, varnish or paint. Another good candidate is vinyl. Vinyl is virtually maintenance-free and much cheaper. Combining the classic beauty of wood and the ease and affordability of vinyl is a proprietary compound developed by Andersen® for their line of products. Fibrex® is made from thermo-polymer materials and wood fiber, designed for durability and longevity. Glass choice is another important thing to consider, but Andersen windows can make this decision easier by ensuring that all products come with energy-efficient Low-E4® glass with SmartSun™ technology. Warranties will vary from one window company to another, and oftentimes, it’s a much safer bet to go with a warranty from a reputable manufacturer. These warranties cover most problems you may encounter with your window. Make sure to ask your contractor about the warranties they offer and their specific coverage. 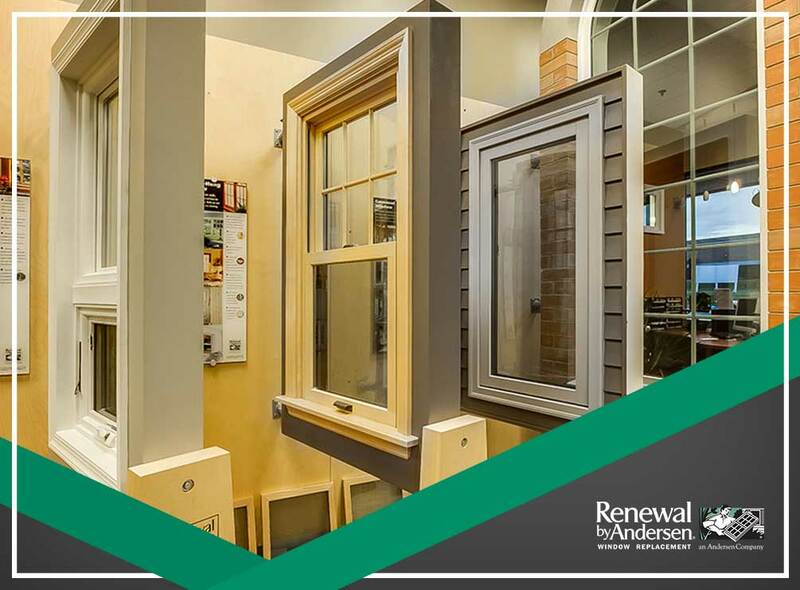 With Renewal by Andersen of Wyoming, choosing a replacement window is easier than ever. The only decision that’s left is what color you want it to be. Call us today for a free in-home consultation at (307) 472-2199. We serve Casper and Cheyenne, WY, and nearby areas.